At 175 feet in height, Capote Falls is the tallest waterfall in Texas, though it is located in one of the driest regions in the western part of the state. A waterfall flows freely into the Hamilton Pool, located in the Hamilton Pool Preserve about 30 miles from Austin, Texas. 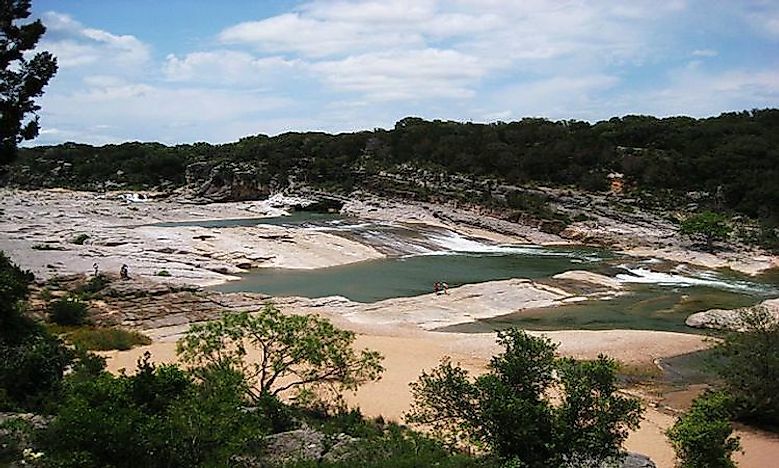 Pedernales Falls is located inside of Pedernales Falls State Park, 30 miles west of Austin. The Falls, in the northern part of the park, is one of the biggest attractions and visitors can see it from an overlook area. Pedernales Falls drops 50 feet in elevation. The park is filled with white-tailed deer, armadillos, rabbits, and raccoons and the river hosts bass, catfish, and carp. In addition, over 150 bird species have been spotted here including herons, owls, and wild turkeys. Part of the Texas Hill Country, Pedernales Falls State Park is filled with oak, elm, sycamore, and walnut trees. Visitors can go camping, swimming, hiking, canoeing, and horseback riding. The Windows Trail Waterfall, one of the most spectacular waterfalls in Texas, is located in the Big Bend National Park. 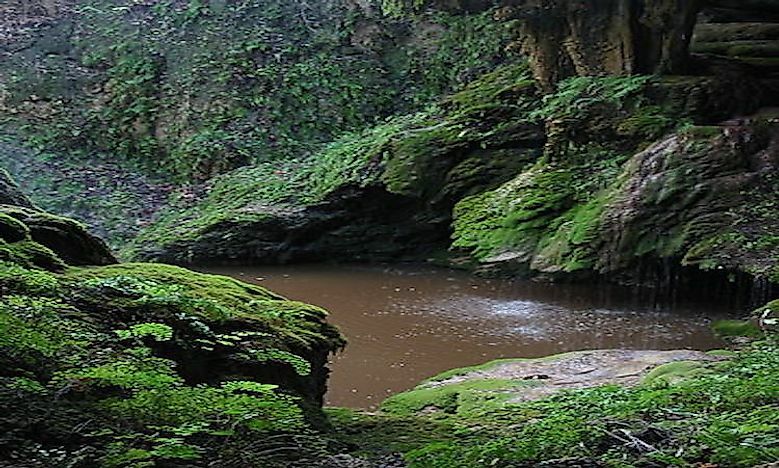 Its source is a small creek that plummets 220 feet down the side of the mountain. Visitors can reach the pour-off point by hiking the Window Trail which follows the Oak Creek Canyon for 2 miles. Towards the end, high rock walls frame the view, creating what is referred to as “The Window.” Big Bend National Park is a part of the Chihuahuan Desert Biosphere, a diverse area of rivers, deserts, mountains, and extreme temperatures. The park shelters many endangered species including the Mexican long-nosed bat, the black-capped vireo bird, and the Chisos hedgehog cactus. Although not on the federal endangered list, the black bear, which was extinct here for more than 40 years, made a small comeback in the 1980’s. Activities in the park include backpacking, birdwatching, stargazing, fishing, and taking river trips. Beef Creek Falls is created by Hog Creek and therefore, also referred to as Hog Creek Falls East. 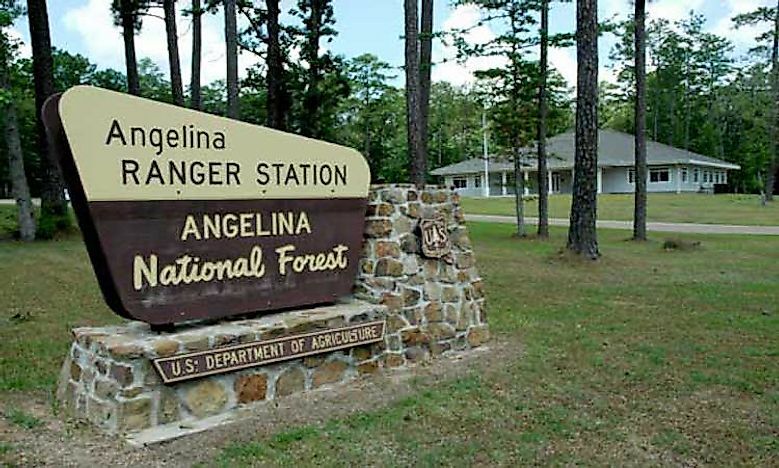 The creek feeds into the Angelina River and is located near the Sam Rayburn Reservoir. The waterfalls drop down 15 feet into a small pool before continuing downstream toward the river. 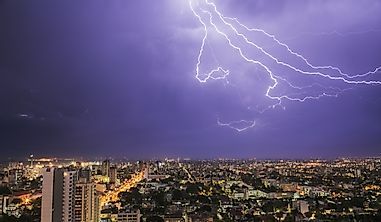 The area is surrounded by East Texas Pineywoods forest which consists of longleaf pines, post oaks, and dogwood trees. Mammals here include eastern gray squirrel, North American cougars, gray foxes, and bobcats. Sandhill cranes, turkey vultures, and the red-cockaded woodpecker are all bird species that live within this ecoregion. People who want to visit the falls must obtain permission from the owners as it is not located on public land. Boykin Springs Falls are located in the Angelina National Forest near Zavalla, Texas. This forest is also located near the Sam Rayburn Reservoir and is filled with longleaf pine, oak, and magnolia. Animals within this area are similar to those mentioned for Beef Creek Falls. The Boykin Springs waterfall comes from Boykin Creek and can be reached by hiking about a mile down the Sawmill Trail. Visitors to the area can also visit the ruins of the old Aldridge Sawmill, go boating, have a picnic, and go fishing. 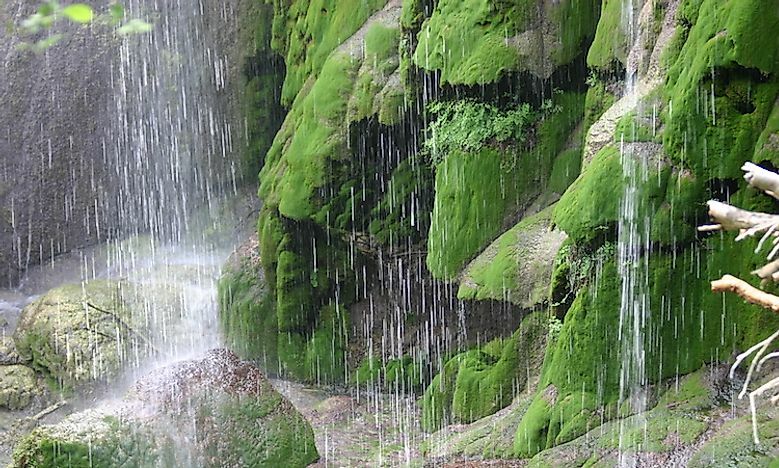 Also located in Big Bend National Park, this waterfall can be found along the 11.9-mile Boot Springs Loop Trail. Along the way, hikers can see a wide variety of wildflowers and some people decide to camp here. The path follows Boot Canyon on the south side of the Chisos Mountains and in certain spots, the trees open up onto vast views of the Chihuahuan Desert below. 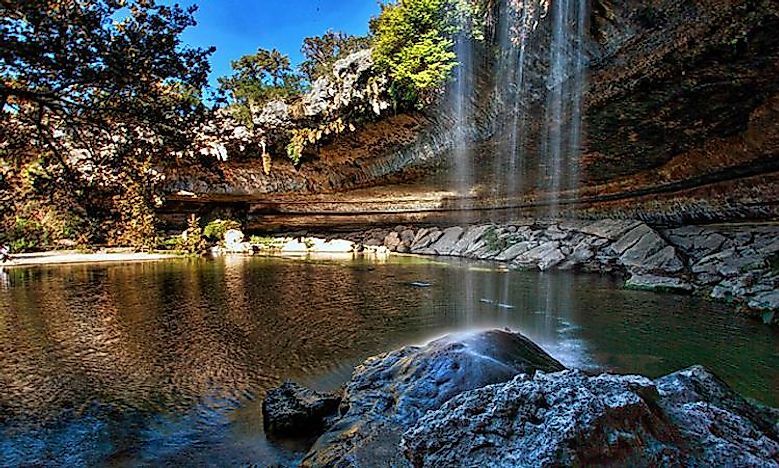 The Hamilton Pool Waterfall also make it to our list of waterfalls in Texas. It is located in the Hamilton Pool Preserve about 30 miles from Austin, Texas. The falls cascade down 50 feet and into a large swimming hole below. This geographic feature was created thousands of years ago when the roof over an underground river fell in due to erosion. 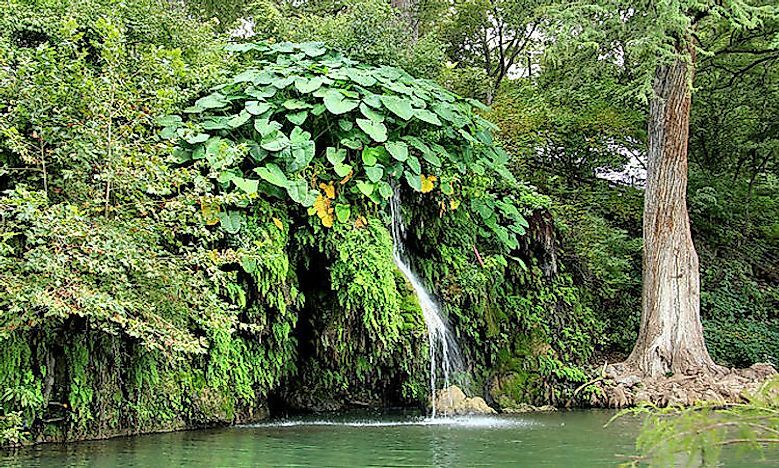 The waterfall is surrounded by limestone, moss, and maidenhair fern. Cliff swallows, a bird species, flit around the water and plants during the day. The beautiful chatterbox orchid, also known as stream orchid, thrives in the environment here. 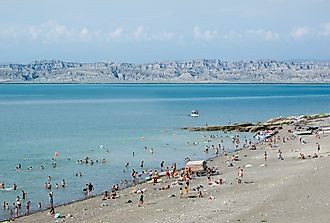 Visitors can enjoy swimming, picnics, and hiking. 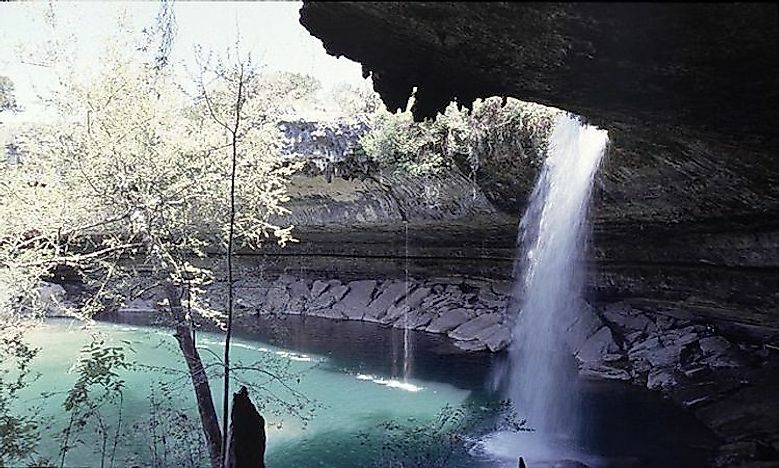 Gorman Falls is one of the most famous waterfalls in Texas. It is located in the Colorado Bend State Park. This waterfall cascades 65 feet over moss covered rocks, surrounded by forest. Visitors can reach the falls via a 3-mile round trip hike on the Gorman Falls Trail. The Colorado River passes through this park, providing shelter to the Guadalupe Bass. Researchers have identified around 155 bird species here, including the bald eagle and golden-cheeked warbler. Swimming is not allowed in this river order to preserve the environment although, visitors may swim in the Spicewood Springs. 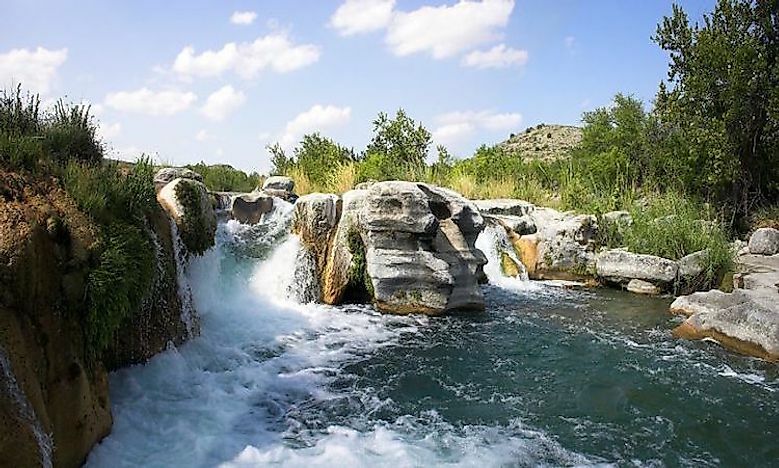 Other popular activities include hiking, mountain biking, and cave exploration.Gorman Falls is located in the Colorado Bend State Park. This waterfall cascades 65 feet over moss covered rocks, surrounded by forest. Visitors can reach the falls via a 3-mile round trip hike on the Gorman Falls Trail. The Colorado River passes through this park, providing shelter to the Guadalupe Bass. Researchers have identified around 155 bird species here, including the bald eagle and golden-cheeked warbler. Swimming is not allowed in this river order to preserve the environment although, visitors may swim in the Spicewood Springs. Other popular activities include hiking, mountain biking, and cave exploration. The Westcave Preserve Waterfall is located within the 30-acre Westcave Preserve. This waterfall cascades 40 feet over fern and moss covered rocks into a pool below. The preserve is filled with forests, caves, and a canyon. 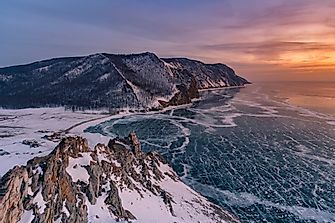 Visitors can only access these sites via guided tours in an attempt to preserve the ecological health of the area. 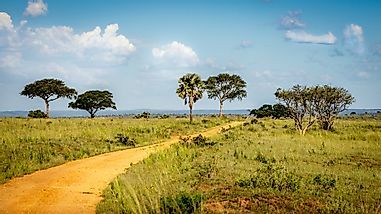 The area is houses many birds including wild turkeys, Inca doves, barn owls, and yellow-bellied sapsuckers. Another popular activity is visiting the Warren Skaaren Environmental Learning Center. Cattail Falls, located in the Big Bend National Park. It can only be reached by a 3-mile loop trail that is unmarked and difficult to find. Park rangers direct visitors to the western slope of the Chisos Mountains to Oak Springs Road to track down the trail leading to this waterfall. These falls are not year round, but at certain times, they fall over 80 feet to an area filled with oak trees, flowers, and water pools. Krause Springs Falls are located near Spicewood, Texas in the heart of Texas Hill Country. This recreation site was founded in 1955 by the Krause family who has owned the land since before that time. Of the 32 springs on site, one falls into a beautiful waterfall that fills a natural swimming hole. The waterfall is surrounded by cypress trees and ferns. Visitors here may also camp or visit the Butterfly Gardens. Within Devils River State Natural Area is 10-foot Dolan Falls. The river is a popular site for kayakers and surrounded by scrubland. Live oak and pecan trees dot the landscape which also has mosses, ferns, and vines. 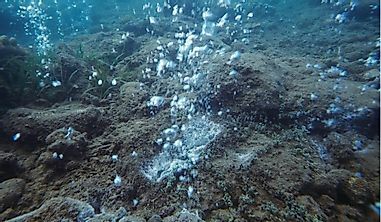 Devils River is considered an ecologically intact river system and is home to a wide variety of plants and animals, including several species of rare salamanders and fish. 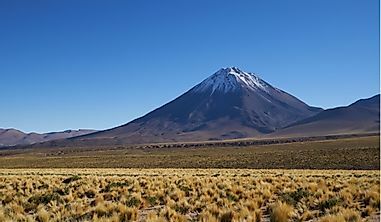 The area also includes archaeological sites that tourists can visit. 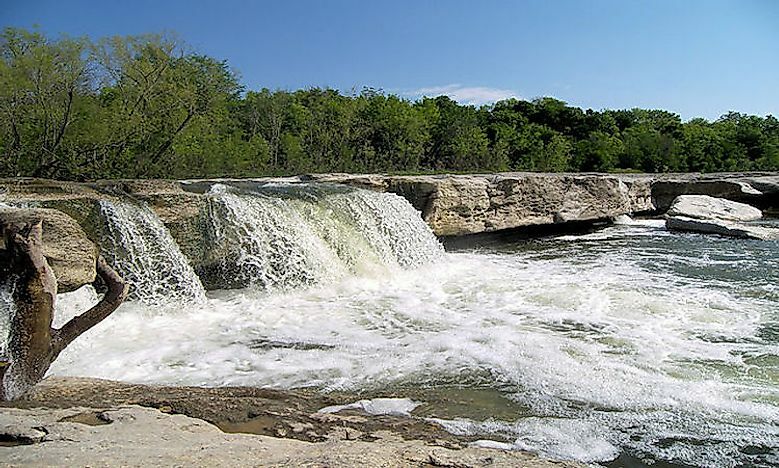 Located near Austin, Texas, this park provides hikers with a view of several beautiful, wide waterfalls. These waters rush over limestone rocks and are located at the junction of Onion and Williamson Creeks. The park offers visitors a look into life on an early Texas homestead and has bouldering, hiking, and mountain biking activities. Painted bunting birds, armadillos, squirrels, cypress trees and red Turk’s cap flowers all make their homes here. Which Are The Widest Waterfalls In The World?